This question comes over the transom regularly. I think most confessional Reformed pastors would probably say that, though they disagree strongly with Arminianism, it is not heresy. 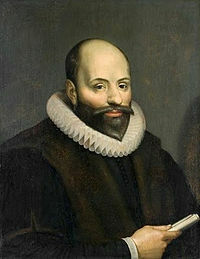 Somewhere I read (or heard) that William Ames (1576-1633), who served as an advisor at the Synod of Dort, regarded Arminianism as an error tending to heresy but not heresy itself. Whether Ames actually said that—he wrote treatises against the Remonstrants, which have not been translated—it all comes down to the definition of heresy. The New Testament noun αιρεσις (haeresis signals “faction” or “sect.” In Acts 5:17 the Sadducees are described as a “faction” or “sect.” In Acts 15:5 the Pharisees are a αιρεσις. In Acts 24:5 Tertullus describes the Christians as a αιρεσις. In 1 Cor 11:19 a αιρεσις is divisive group in the Corinthian congregation. In Galatians 5:20 it refers to “divisions” that must be avoided in the church. It is not possible to reject the doctrine of the ecumenical doctrine of the Trinity and be saved nor is it possible to reject the ecumenical doctrine of the two natures of Christ and be saved. The ecumenical faith is summarized by the Apostles’ Creed, the Nicene Creed (325, 381), the Definition of Chalcedon (451), and the Athanasian. Arguably, to deny the Augustinian doctrine of provenient grace (i.e., unconditional election, that grace comes first, that grace regenerates) and to deny the Augustinian doctrine of sin is to contradict the ecumenical understanding of holy Scripture. This is a significant claim. It is not clear to me how to reconcile the soteriology of post-7th century [Greek/Russian etc] Orthodox traditions, whose soteriology more closely resembles that of Origen and Pelagius than Augustine’s, with the ecumenical doctrine. Nor is it easy to see how the Wesleyan and Nazarene traditions are squared with the broad Augustinianism of Ephesus et al. It is important to note that, to this point, I have only appealed to Scripture (the magisterial authority for the Christian faith and the Christian life; sola Scriptura) and to the Council of Ephesus, the Second Council of Orange, to the Lutheran Augsburg Confession, to the Council of Trent (! ), and to the Reformed church insofar as they all agree contra Pelagius. It is important to recognize that this is not a narrow band of ecclesiastical authorities nor a bigoted opinion. This brings us to the question of the way the international Synod of Dort (1618-19) addressed the Remonstrants [Arminians]. What category did they use to analyze and reject the Remonstrants? The truth of this kind promise is evident in the Church of all ages. She has been attacked from the beginning, not only by the public force of enemies and the ungodly violence of heretics, but also by the masked subtleties of seducers. The promise to which Synod referred was “I will be with you always” in Matthew 28:20. The carnal mind is unable to comprehend this doctrine of the perseverance of the saints and the certainty thereof, which God has most abundantly revealed in His Word, for the glory of His Name and the consolation of pious souls, and which He impresses upon the hearts of the believers. Satan abhors it, the world ridicules it, the ignorant and hypocritical abuse it, and the heretics oppose [spiritusque erronei oppugnant] it. But the bride of Christ has always most tenderly loved and constantly defended it as an inestimable treasure; and God, against whom neither counsel nor strength can prevail, will dispose her so to continue to the end. Now to this one God, Father, Son, and Holy Spirit, be honor and glory forever. Amen. So far it seems likely that Synod was confessing that the Remonstrants were teaching heresy but it is not certain. Even though the phrase “spiritusque erronei oppugnant” (“the spirits of the wanderers”) is widely translated as “heretics,” since the word heretic is not explicitly used in 5.15 some ambiguity remains. If, however, we consider the rhetorical function of their invocation of Pelagius, the picture becomes clearer. In 3/4 head of doctrine, article 2, Synod contrasted the Augustinian teaching of the Reformed churches on the corruption and conversion of man with that of the Pelagians who held that sin was not inherited but communicated “by imitation, as the Pelagians of old asserted...”. The Remonstrant doctrine that “the grace whereby we are converted to God is only a gentle persuasion” or an “advising,” is “altogether Pelagian and contrary to the whole Scripture...” ( RE 3/4.7). The Remonstrant proposal to return to the old medieval system of grace and cooperation with grace was, according to Synod, a proposed return to “this doctrine of the Pelagians” that had “long ago ago condemned...” (RE 3/4.9). In the 3/4 head of doctrine, article 10, on the corruption and conversion of man, Synod rejected the Remonstrant doctrine that the ability to obey the gospel call lies in the human free will, by which “one distinguishes himself above others equally furnished with grace sufficient for faith and conversion (as the proud heresy of Pelagius maintains)...”. In RE 4.7, Synod condemned as “altogether Pelagian” the Remonstrant doctrine that saving grace is but “gentle persuasion” or “advice” and the Remonstrant doctrine that grace and free will are both partial causes of our salvation as the “doctrine of the Pelagians” condemned “long ago” (RE 4.9). The Remonstrant idea that our perseverance depends partly on our free will is nothing but “outspoken Pelagianism” (RE 5.2). Did Synod condemn the Remonstrants as heretics? If we consider the various points at which Synod flatly characterized the errors of the Remonstrants as heresy, the ways in which Synod repeatedly associated the Remonstrants themselves with the Pelagians, and characterized their errors as Pelagian it seems hard to avoid the conclusion that, for the Synod of Dort, the revisions proposed by the Remonstrants were errors of such a magnitude that they not mere errors and not merely heresy in the broad sense, but heresy in the narrow, technical sense described in the first part of this essay: an error transgressing the ecumenical teaching of the church as agreed at Ephesus in 431, in the condemnation of Coelestius (and through him, Pelagius). In the modern period, and particularly under the influence of neo-Evangelicalism, the rhetorical tendency has been to downplay the differences between the Reformed and the Remonstrants. To be sure, much water has passed under the bridge since 1619 but the Reformed churches still confess the Canons (rules) of the Synod of Dort. These are not mere historical curiosities. They are the living voice of the Reformed Churches, they are our understanding of the Word of God as touching the revisions of Reformed doctrine proposed by Arminius and his followers. Perhaps the most important use that can be made of a recovery of the judgment of Synod upon the original Arminian doctrine is to recognize how passionate the church was for the Reformation. This year is the 500th anniversary of the Protestant Reformation. The 400th anniversary of the Synod of Dort will be observed in 2018-19 and it is well that we should remember that what Synod feared most was that the Remonstrants were leading us away from the biblical gospel of salvation by grace alone back to the medieval doctrine of salvation by grace and cooperation with grace. That threat is ever with us. It exists now in the form of the self-described Federal Vision theology. It exists in other proposals too. We ought to be as passionate for the Reformation and biblical doctrines of grace as the Synod was. We ought also to recognize again how great the difference is between the Reformed confession of the Word of God and the Arminian-inspired versions that have dominated evangelical theology and piety since the early 19th century. Synod did not invoke the category of heresy lightly or unintelligently. They knew what they were doing and they used that language advisedly. It was meant to be bracing to the churches and to her ministers and so it should once again have that same affect in us. Dr. Clark was educated at the University of Nebraska (BA), Westminster Seminary California (MDiv), and St Anne’s College, Oxford University (DPhil). He was a minister in the Reformed Church in the United States (1988-1998) and has been a minister in the United Reformed Churches in North America since 1998. He has taught church history and historical theology since 1995 at Wheaton College, Reformed Theological Seminary, Jackson, Concordia University, Irvine, and Westminster Seminary California.